Well ‘Why-EA’? Agency wilts as politicians win! Earlier this afternoon, for only the third time in its history, the IEA asked its members to release an extra 60 million barrels of their oil stockpiles on to the world markets. The previous two occasions were the first gulf war (1991) and the aftermath of Hurricane Katrina (2005). That it has happened given the political clamour for it is no surprise and whether or not one questions the wisdom behind the decision, it is a significant event. The impact of the move designed to stem the rise of crude prices was felt immediately. At 17:15GMT ICE Brent forward month futures contract was trading at US$108.45 down 4.99% or US$5.74 in intraday trading while the WTI contract fell 3.64% or US$3.51 to US$91.46. Nearly half of the 60 million barrels would be released from the US government’s Strategic Petroleum Reserve (SPR). In relative terms, UK’s contribution would be three million barrels – which tells you which nation the IEA was mostly looking to. The agency’s executive director Nobuo Tanaka feels the move will contribute to “well-supplied markets” and ensure a soft landing for the world economy. This begs the question if the market is “well-supplied” especially with overcapacity at Cushing (Stateside) why now? Why here? For starters, and as the Oilholic blogged earlier, some politicians like Senator Jeff Bingaman – a Democrat from New Mexico and chairman of the US Senate energy committee – have been clamouring for his country’s SPR to be raided to relieve price pressures since April. OPEC’s shenanigans earlier this month gave them further ammunition amid concerns that the summer or “driving season” rise in US demand would cause prices to rise further still. That is despite the fact that the American market remains well supplied and largely unaffected by 132 million barrels of Libyan light sweet crude oil which the IEA reckons have disappeared from the market (until the end of May since the hostilities began). Nonetheless, all this mega event does is add to the market fear and confirm that a perceptively short term problem is worsening! Long term hope remains that the Libyan supply gap would be plugged. Releasing portions of the SPRs would not alleviate market concerns and could even be a disincentive for the Saudis to pump more oil – although they made it blatantly obvious after the OPEC meeting deadlock on June 8 that they will up production. Now how they will react is anybody's guess? Jason Schenker, President and Chief Economist of Prestige Economics, feels that while the decision is price bearish for crude oil in the immediate term, these measures are being implemented with the intent to stave off significantly higher prices in the near and medium term. But must we resort to last resorts, just yet? While Sen. Bingaman would be happy, most in the market are worried. Some moan that Venezuelan and Iranian intransigence in Vienna brought this about. For what it is worth, the market trend was already bearish, Libya or no Libya. Concerns triggered by doubts about the US, EU and Chinese economies were aplenty as well as the end of QE2 liquidity injections coupled with high levels of non-commercial net length in the oil markets. Some for instance like Phil Flynn, analyst at PFG Best, think the IEA’s move was “the final nail in the coffin for the embattled oil markets.” Let’s see what the agency itself makes of its move 30 days from now when it reassesses the situation. Those interested in the intricacies of this event would perhaps also like to know how the sale takes place but we only have the US example to go by. Last time it happened – under the Bush administration on September 6, 2005 – of the 30 million barrels made available, only 11 million were actually sold to five bidders by the US energy department. Nine of a total of 14 bidders were rejected, with deliveries commencing in the third week of the month. What the take-up would be in all IEA jurisdictions this time around remains to be seen. Medium term price sentiments according to the Oilholic’s feedback have not materially altered and so they shouldn’t either. 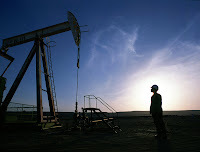 An average of five City forecasts sees Brent at US$113.50 in Q3 2011, US$112.50 in Q4 11 and US$115 in Q1 2012. Finally, most city forecasters, and to cite one, remain “marginally” bullish for 2012 though no one, this blogger including, sees a US$150 price over 2012. Finally to all of the Oilholic's American readers concerned about the rising price of gas, spare a thought for some of us across the pond. OPEC’s research suggests (click graph above) that much higher taxes in most national jurisdictions in this part of the world means we pay way more than you guys. That is not changing any time soon. Releases of SPRs woould not meaningfully ease price pressures at the pump for us. © Gaurav Sharma 2011. 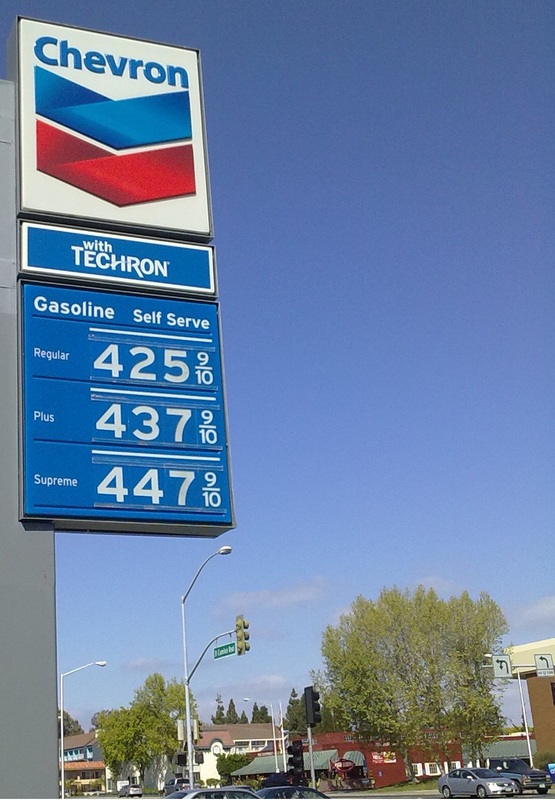 Photo: Gas Station, Sunnyvale, California, USA © Gaurav Sharma, April 2011. Graphics: Who gets what from a litre of Oil? 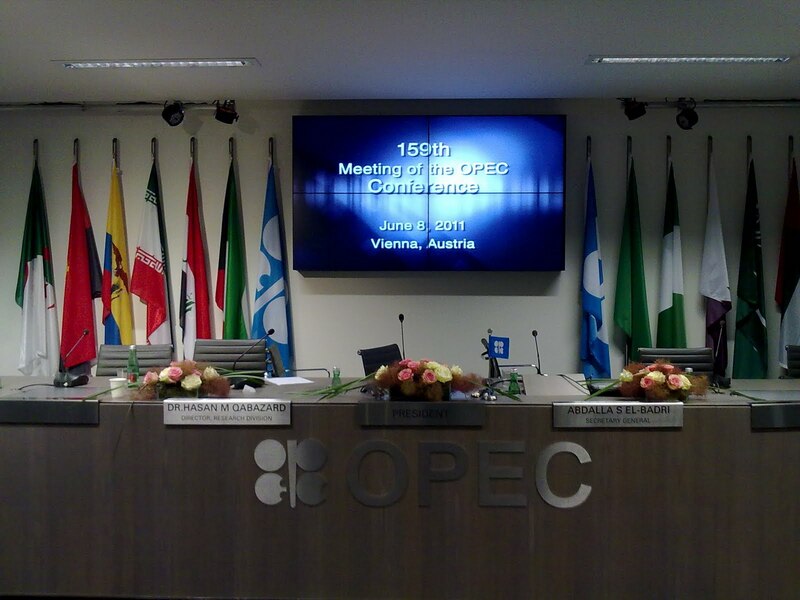 © OPEC Secretariat, Vienna 2010. Crude 7 days & wayward Hayward’s comeback? It is not often that we talk about Jean-Claude Trichet – the inimitable and outgoing European Central Bank president here, but last week he said something rather interesting at a London School of Economics event which deserves a mention in light of the unfolding Greek tragedy (part II) and before we talk crude pricing. While he did not directly refer to the deterioration in Greece’s fiscal situation, it may yet have massive implications for the Euro zone. Its impact on crude prices will be one of confidence, rather than one of consumption pattern metrics. Greece, relative to other European players, is neither a major economy and nor a major crude consuming nation. Market therefore will be factoring in the knock-on effect were it to default. Quite frankly, the Oilholic agrees with Fitch Ratings that if commercial lenders roll over their loans to Greece, it will deem the country to be in “default". Standard & Poor's has already issued a similar warning while Moody’s says there is a 50% chance of Greece missing a repayment within three to five years. With confidence not all that high and the OPEC meeting shenanigans from a fortnight now consigned to the history books, the crude price took a dip with the ICE Brent forward month futures contract at US$112.54 last time I checked. Nonetheless, oil market fundamentals for the rest of 2010 and 2011 are forecasted to be reasonably bullish. Analysts at Société Générale feel many of the prevalent downside risks are non-fundamental. These include macro concerns about the US, Europe (as noted above) and China; the end of QE2 liquidity injections; concerns about demand destruction; uncertainty about Saudi price targets; fading fears of further MENA supply disruptions; and still-high levels of non-commercial net length in the oil markets. Meanwhile the IEA noted that a Saudi push to replace “lost” Libyan barrels would need to be competitively priced to bring relief. Market conjecture and vibes from Riyadh suggest that while the Saudis may well wish to up production and cool the crude price, they are not trying to drive prices sharply lower. The problem is a “sweet” one. The oil market for the rest of 2011, in the agency’s opinion, looks potentially short of sweet crude, should the Libyan crisis continue to keep those supplies restrained. Only “competitively priced OPEC barrels” whatever the source might be could bring welcome relief, it concludes. Now on to corporate matters, the most geopolitically notable one among them is a deal signed by ConocoPhillips last Thursday, with the government of Bangladesh to explore parts of the Bay of Bengal for oil and gas. This is further proof, if one needed any, that the oil majors are venturing beyond the traditional prospection zones and those considered “non-traditional” thus far aren’t any longer. In other matters, the man who founded Cairn Energy in 1980 – Sir Bill Gammell is to step down as the independent oil upstart’s chief executive to become its non-executive chairman under a board reshuffle. He will replace current chairman Norman Murray, while the company’s legal and commercial director Simon Thomson will take over the role of chief executive. However, Sir Bill would continue as chairman of Cairn India and retain responsibility for the sale of Cairn Energy's Indian assets to Vedanta in a deal worth nearly US$10 billion. The deal has been awaiting clearance for the last 10 months from the Indian government which owns most of ONGC, which in turn has a 30% stake in Cairn India's major oil field in Rajasthan. It was agreed in 1995, that ONGC would pay all the royalties on any finds in the desert. But that was before oil had been found and the government is now trying to change the terms of that arrangement with some typical Indian-style bickering. Elsewhere, after becoming a publicly-listed company last month, Glencore – the world's largest commodities trader – reported a net profit for the first three months of the year to the tune of US$1.3 billion up 47% on an annualised basis. Concurrently, in its first public results, the trader said revenue was up 39% to US$44.2 billion. Glencore's directors and employees still hold about 80% of the company and the figures should make them happier and wealthier still. Glencore leads the trading stakes with Vitol and Gennady Timchenko’s Gunvor second and third respectively. Finally, the so-called most hated man in America – Tony Hayward – commenced a rather spectacular comeback last week flanked by some influential friends. Together with financier Nathaniel Rothschild, investors Tom Daniel and Julian Metherel, Hayward has floated Vallares, an oil and gas investment vehicle which raised £1.35 billion (US$2.18 billion) through an IPO recently. This is well above market expectations according to most in the City and all four have nailed their colours to the mast by putting in £100 million of their own money. Some 133 million ordinary shares nominated at £10 each were offered and taken-up rather enthusiastically. Rumour has it that hedge funds, selected Middle Eastern sovereign wealth funds and institutional investors (favouring long-only positions) are among the major buyers. Vallares’ focus will be on upstream oil and gas assets away from "tired, second-hand assets" in the North Sea or in politically unstable areas such as Venezuela or central Asia. The Oilholic thinks this is way more than an act of hubris. However, the investment vehicle’s success will not particularly reverse Hayward’s deeply stained reputation. A failure well be the end. Only time will tell but the front man has brought some powerful friends along on the “comeback” trail. They are likely to keep a more watchful eye over Hayward and perhaps prevent him from going wayward. 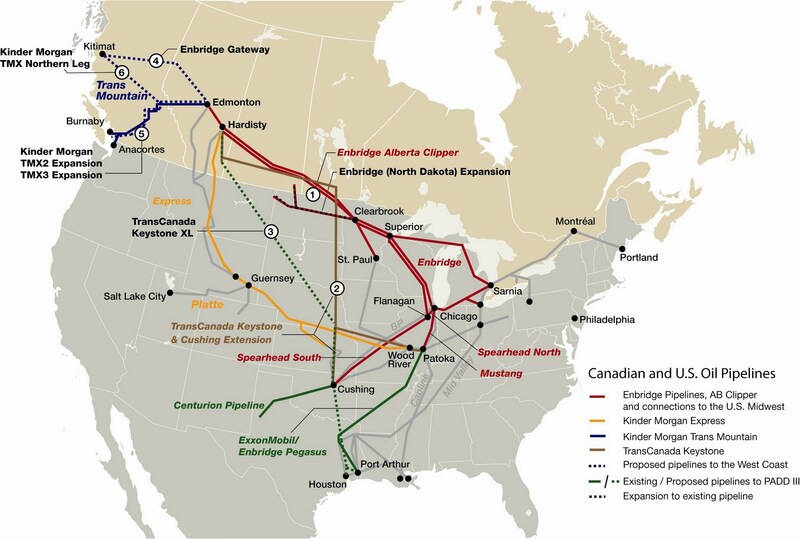 Even before the original Keystone cross-border pipeline project aimed at bringing Canadian crude oil to the doorstep of US refineries had been completed, calls were growing for an extension. 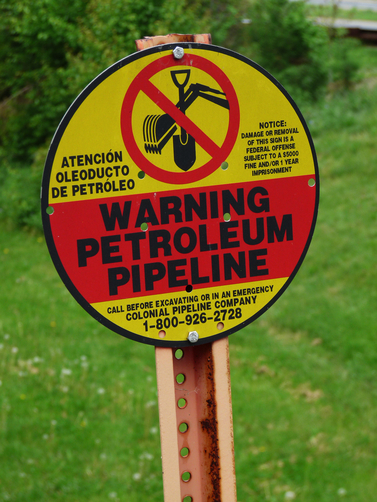 The original pipeline which links Hardisty (Alberta, Canada) to Cushing (Oklahoma) and Patoka (Illinois) became operational in June 2010, just as another, albeit atypical US-Canadian tussle was brewing. The extension project – Keystone XL first proposed in 2008, again starting from Hardisty but with a different route and an extension to Houston and Port Arthur (Texas) is still stuck in the quagmire of US politics, environmental reticence, planning laws and bituminous mix of the Canadian oil sands. The need for extension is exactly what formed the basis of the original Keystone project – Canada is already the biggest supplier of crude oil to the US; and it is only logical that its share should rise and in all likelihood will rise. Keystone XL according to one of its sponsors – TransCanada – would have the capacity to raise the existing capacity by 591,000 barrels per day though the initial dispatch proposal is more likely to be in the range of 510,000 barrels. Having visited both the proposed ends of the pipeline in Alberta and Texas, the Oilholic finds the sense of frustration only too palpable more so because infrastructural challenges and the merits (or otherwise) of the extension project are not being talked about. To begin with the project has a loud ‘fan’ club and an equally boisterous ‘ban’ club. Since it is a cross-border project, US secretary of State Hillary Clinton has to play the role of referee. A pattern seems to be emerging. A group of 14 US senators here and 39 there with their counterparts across the border would write to her explaining the merits only for environmental groups, whom I found to be very well funded – rather than the little guys they claim to be – launching a counter representation. That has been the drill since Clinton took office. One US senator told me, “If we can’t trust the Canadians in this geopolitical climate then who can we trust. Go examine it yourself.” On the other hand, an environmental group which tries to get tourists to boycott Alberta because of its oil sands business tried its best to convince me not to land in Calgary. I did so anyway, not being a tourist in any case. Since 2008, TransCanada has held nearly 100 open houses and public meetings along the pipeline route; given hundreds of hours of testimony to local, state and federal officials and submitted thousands of pages of information to government agencies in response to questions. The environmentalists did not tell me, but no prizes for guessing who did and with proof. This is the kind of salvo being traded. Send fools on a fool’s errand! It is not that TransCanda, its partner ConocoPhillips and their American and Canadian support base know something we do not. It is a fact that for some years yet – and even in light of falling gasoline consumption levels – the US would remain the world’s largest importer of crude oil. China should surpass it, but this will not happen overnight. The opponents of oil sands have gotten the narrative engrained in a wider debate on the environment and the energy mix. Going forward, they view Keystone XL and other incremental pipeline projects in the US as perpetuating reliance on crude oil and are opposing the project on that basis. Given the current geopolitical climate, environmental groups in California and British Columbia impressed upon this blogger that stunting Alberta’s oil sands – hitherto the second largest proven oil reserve after Saudi Arabia’s Ghawar extraction zone – would somehow send American oilholics to an early bath and force a green age. This is a load of nonsense. Au contraire, it will increase US dependency on Middle Eastern oil and spike the price. Agreed the connection is neither simple nor linear – but foreign supply will rise not fall. Keystone XL brings this crude foreign product from a friendly source. Everyone in Alberta admits work needs to be done by the industry to meet environmental concerns. However, a 'wells to wheels' analysis of CO2 emissions, most notably by IHS CERA and many North American institutions has confirmed that oil sands crude is only 5 to 15 per cent ‘dirtier’ than US sweet crude mix. The figure compares favourably with Nigerian, Mexican and Venezuelan crude which the US already imports. So branding Canadian crude as dirty and holding up Keystone XL on this basis is a bit rich coming from the US. Keystone XL increases US access to Canadian crude. Who would the Americans rather buy from Canada or Venezuela? Surveys suggest the former. 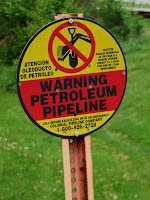 Over a meeting in Calgary, Dave Collyer, President of Canadian Association of Petroleum Producers (CAPP) told the Oilholic that they have always viewed Keystone XL as an opportunity to link up Western Canada to the US Gulf coast market, to replace production that would otherwise be imported by the US from overseas sources most notably Venezuela and Mexico where production is declining according to available data. There are also noticeable political impediments in case of the former. “We don’t see this pipeline extension as incremental supply into that orbit, rather a replacement of existing production through a relatively straightforward pipeline project, akin to many other pipeline projects and extensions that have been built into the US,” Collyer said. Energy infrastructure players, market commentators and CAPP make another valid point – why are we not debating scope of the Keystone XL project and its economic impact and focussing on the crude stuff it would deliver across the border? CAPP for its part takes a very pragmatic line. “Do we think there is legitimacy in the argument that is being made against Keystone? No (for the most part) but the reality is that there has to be due consideration in the US. I would assume the US State Department is in a position where it has no alternative but to employ an abundance of caution to ensure that all due processes are met. What frustrates Canadians and Americans alike is the length of time that it has taken. However, at the end of the day when we get that approval and it is a robust one which withstands a strict level of scrutiny then it’s a good thing,” Collyer said. T I M B E R! Canadians and Americans first started bickering about timber, another Canadian resource needed in the US, about taxation, ethics, alleged subsidies and all the rest of it way back in 1981. Thirty years later, not much has changed as they are still at it. But these days it barely makes the local news in Canada each time the Americans take some reactive action or the other against the timber industry. Reason – since 2003 there has been another buyer in town – China. In 2010, timber sales from Canada to China (and Japan to a lesser extent) exceed those to the US. Over the last half-decade timber exports from the province of British Columbia alone to China rose 10 times over on an annualised basis. Moral of the story, the US is not the only player in town whatever the natural resource. Canadians feel a sense of frustration with the US, and rightly so according to Scott Rusty Miller, managing partner of Ogilvy Renault (soon to be part of Norton Rose) in Calgary. “We are close to the US, we are secure and we have scruples. Our industry is more open to outside scrutiny and environmental standards than perhaps many or in fact any other country the US imports crude oil from – yet there are these legal impediments. Scrutiny is fine. It’s imperative in this business, but not to such an extent that it starts frustrating a project,” Miller noted. Ask anyone at CAPP or any Toronto-based market analyst if Canada could look elsewhere – you would get an answer back with a smile; only the Americans probably would not join them. The Oilholic asked Collyer if Americans should fear such moves. 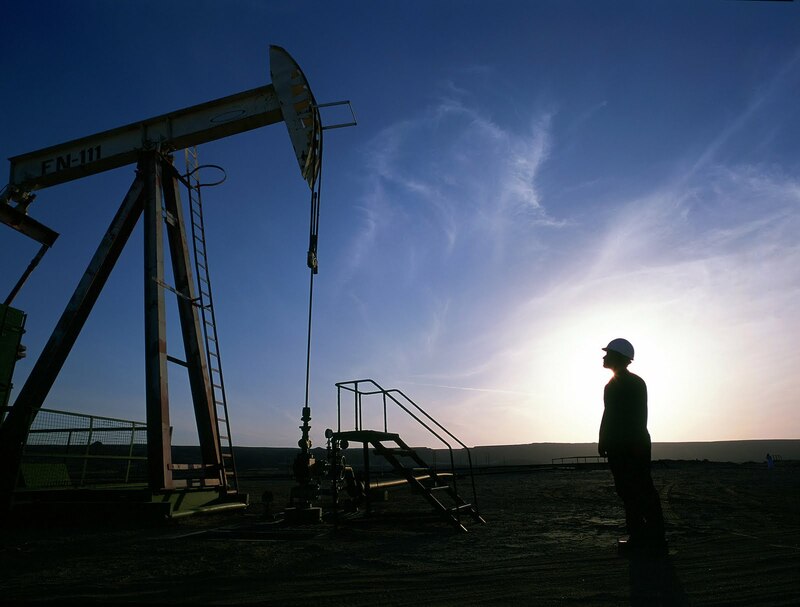 CAPP has noted increasing interest from Chinese, Korean and other Asian players when it comes to buying in to both crude oil reserves and natural gas in Western Canada. Interest alone does not create a market – but backed up by infrastructure at both ends, it strengthens the relationship between markets Canadians have traditionally not looked at. All of this shifts emphasis on Canadian West coast exports. “Is it going to be straightforward to get a pipeline to the West coast – we’ll all acknowledge that it’s not. For instance, Enbridge has its challenges with the Gateway pipeline. There is an interest in having an alternative market. There are drivers in trying to pursue that and I would say collectively this raises the “fear” you mention and with some factual basis. However, the US has been a great market and should continue to be a great market...while some caution is warranted,” he concluded. We’re not talking about Bertie, (King George VI of England) but Barack (The King of gasoline consumers and the US President). On March 30th, the King rose and told his audience at Georgetown University that he would be targeting a one-third reduction in US crude imports by 2025. Shares of Canadian oil and service companies rose the next day on the Toronto Exchange, even gas producers benefited and 'pro-Keystone XL' American senators queued up on networks to de facto say “We love you, we told you so.” Beyond the hyped response, there is a solid reason. Keystone XL bridges both markets – a friendly producer to a friendly consumer with wide ranging economic benefits. The pipeline could also help Canadians export surplus crude using US ports in the Gulf and tax benefits could accrue not just at the Texan end but along the route as well. That the oil sands are in Canada is a geological stroke of luck, given the unpredictability of OPEC and Russian supplies. The US State Department says it will conclude its review of Keystone XL later this year. Subjecting this project to scrutiny is imperative, but bludgeoning it with impediments would be ‘crudely’ unwise. This post contains excerpts from an article written by the Oilholic for UK's Infrastructure Journal. While the author retains serial rights, the copyright is shared with the publication in question. Now that the meeting is all over, it is worth noting that the ‘acting’ Iranian oil minister – Mohammad Aliabadi – was not the only one new to the job. It would appear that half of his peers at the OPEC meeting were in fact new to the job as well but Alibadi had to carry the tag of “Conference President”. 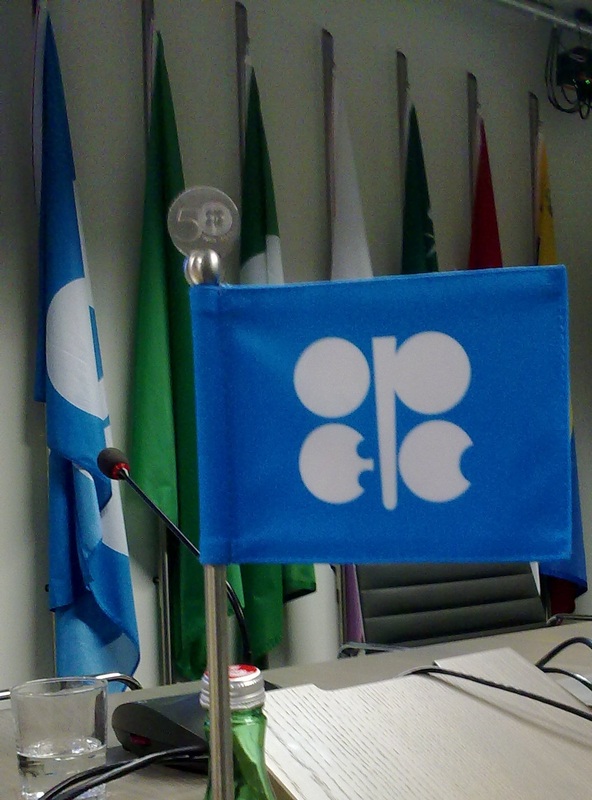 One question on everybody’s lips was who spoke for Libya at this OPEC meeting. In the run up to this meeting, news from Tripoli was that Col. Gaddafi was controlling the oil assets that he could and was destroying those that he could not in order to prevent them from both falling into rebel hands or being used as a revenue generator. Once rebels took control of some of the country’s oil assets, troops loyal to Gaddafi set about knocking out the infrastructure. Coastal road between Brega and Ras Lanuf, sites of the country’s two biggest refineries was taken out. Then the gas network linking up to rebel controlled areas fell to below 50% capacity. This was followed by Sarir and Mislah oilfields, south of Benghazi being hit by Gaddafi’s troops. While estimates vary, all this has collectively deprived the rebels access to up to 350,000 barrels of oil which they could have sold in open markets. Now until these facilities can be repaired, the rebels cannot really export much even though the Qataris have volunteered to help them market the oil. Their only success so far, according to sources has been a sale facilitated by Vitol, a Swiss trading house, to the tune of just over one million barrels worth US$118.75 million at the current rate. Additionally, Gaddafi is not in ‘crude’ health either. A source here suggests Libyan production is in the region of 215,000 b/d but output has ceased as admitted this afternoon by the OPEC Secretary General Abdalla Salem el-Badri. Given international sanctions, the buyers, at least on the open market, are hesitant. Additionally, Libyan consumers are facing shortages everywhere including the capital Tripoli where a litre of petrol is costing up to 6.5 Libyan dinars; about US$5.13 at the current rate. The Oilholic is unable to ascertain how much a litre costs in rebel held areas although it is thought to be a lower rate than Tripoli. News from behind closed doors is that Col. Gaddafi’s representative did not find himself clashing with the Qatari delegation, who have helped the rebels to their market oil. However, there was an almighty collective clash between the OPEC member nations in which Gaddafi’s man did take the opposing view of what the market felt was right. This understandably overshadowed everything else. On that note its goodbye and goodnight from Vienna - thanks for reading. The decision or rather non-decision of not raising the OPEC production quota taken earlier here in Vienna is as damaging for OPEC as it is problematic. A cartel is supposed to show solidarity, but internal sparring awaited the world’s press. The meeting even concluded without a formal production decision or even a communiqué. It is clear now that those members in favour of a rise in production quota were Saudi Arabia, Kuwait, Qatar and UAE while those against were Algeria, Libya (Gaddafi’s lot), Angola, Venezuela, Iran and Iraq. However, majority of the sparring was between the Saudis on one side and the Iranians and Venezuelans on the other. In the end, it was not only messy but made the cartel look increasingly dysfunctional and an archaic union heading slowly towards geopolitical insignificance. However, what appears on the face of it is not so straightforward. To followers of crude matters, it is becoming increasingly clear that as in the past, the Saudis will act to raise their production unilaterally, more so because they left Vienna irked by what they saw as Iranian and Venezuelan belligerence. Furthermore, the cartel’s own spare capacity of around 4 million b/d is squarely in the hands of Saudi Arabia, Kuwait and UAE. Of these, the Saudis pumped an extra 200,000 b/d last month. Most analysts expect this to be mirrored in their June output and it would imply that the Saudis would be producing at least 1 m b/d over the now largely theoretic OPEC binding quota of 24.85 million b/d. Almost 41% of the global crude oil output is in the hands of OPEC. If within this close-knit group, there is sparring between those with spare capacity and those without in full view of the world’s press then the cartel’s central purpose takes a hammering. Mighty worried about the negative impact of high prices on GDP growth of their potential export markets and by default on the growth of crude oil demand, the Saudis appeared to the Oilholic to be firm believers that it was in their interest to increase quotas and actual production – so they will raise their own. “Furthermore, and more recently, the individual member county quotas were suspended last October. On a more practical note, group cohesion for affecting production and crude oil prices is less critical when the price of crude is over US$100 per barrel and the global economy is rising, along with oil demand. The division within OPEC is likely to heal, and we are confident that group cohesion will be seen again when prices fall,” he concludes. Additionally with half of those at the table being newcomers to the job, the situation in Libya and their representative, and an Iranian ‘acting’ oil minister with no experience of OPEC negotiations or of ‘crude’ affairs (he was previously the country’s minister for sport) all combined to complicate the situation as well as infuriate the Saudis. This situation should not arise at the next meeting. 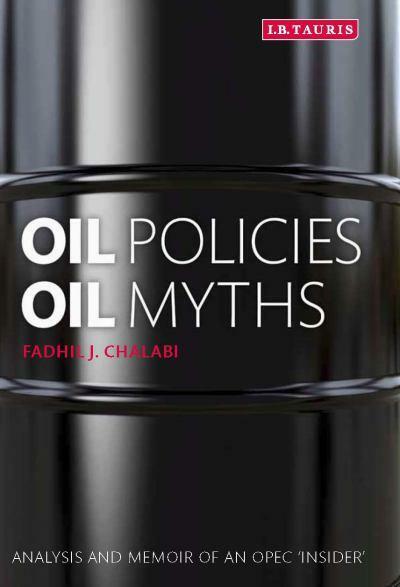 Now if all this has left you yearning for a slice of OPEC’s history – whether you are an observer, derider or admirer of the cartel – there is no better place to start than Dr. Fadhil Chalabi’s latest book Oil policies, oil myths: Observations of an OPEC insider. If there is any such thing as a ringside view of the wheeling and dealing inside OPEC then Dr. Chalabi more than anyone else had that view. The Oilholic found his book, which serves as the author’s memoir of his time at OPEC as well as charts the history of OPEC and its policies, to be a thoroughly good read. He was the deputy secretary general of OPEC from 1979-89 and its acting secretary general from 1983-88. The book is, in more ways than one, a coupling of an account of his time at OPEC and an objective analysis of what has transpired in the energy business over last four decades. Looking through either prism - both the book's "memoir aspect" as well as the author's charting of the history of OPEC and its policies, it comes across as a thoroughly good read. The book is just over 300 pages split by 16 chapters over which the author offers his thoughts in some detail about why OPEC is relevant. He also sets about exploding a few myths about the cartel, what has shaped it and how it has impacted the wider industry as well as the global economy. To substantiate his case, he offers facts, figures, graphics, a glossary and a noteworthy and useful chronology of key events affecting the oil industry. The world has come a long way from the days when the “Seven Sisters” simply posted the oil prices in Platt’s Oilgram news bulletins. The era of price volatility-free cheap oil ended with the price shock of 1973 in the author’s opinion, before which the world had scarcely heard of OPEC. Gaddafi’s Libya, Saddam’s Iraq and Nasser’s Egypt are all there but the Oilholic found Chapter 7 narrating the episode when Carlos the Jackal struck OPEC (in 1975) to be riveting, for among the hostages taken by the Jackal was the author himself. The book understandably has many fans at OPEC and officials from member nations as seen in its endorsements. However, what makes it enjoyable is that it is no glorification or advert of the cartel. Rather it is an objective analysis of how crude oil has shaped the diplomatic relations of OPEC members with the oil-consuming nations globally and by default how an oil exporting cartel’s presence triggered ancillary developments in the crude business. This includes changing the investment perspective of IOCs who began facing dominant NOCs. In summation, if you would like to probe the supposed opacity of OPEC, Dr. Chalabi’s book would be a good starting point. © Gaurav Sharma 2011. Photo 1: OPEC Flag © Gaurav Sharma 2011, Photo 2: Cover: Oil Policies Oil Myths © I.B. Tauris Publishers. Book available here. In a surprising announcement here in Vienna, OPEC ministers decided not to change the cartel’s production quota contrary to market expectations. At the conclusion of the meeting, OPEC Secretary General Abdalla Salem el-Badri said the cartel will wait another three months at least before revisiting the subject. El-Badri also said the crude market was “not in any crisis” and that no extraordinary meeting had been planned. Instead, the ministers would meet as scheduled in December. However, he admitted that there was no consensus at the meeting table with some members in favour of a production hike while some even suggested a cut. “Waiting (at least) another three months for a review was not to everyone’s liking but the environment around the table was cordial even though it was a difficult decision,” he said after the meeting. However, as expected, he did not reveal which member nations were for or against a decision to hold production at current levels. El-Badri put OPEC's April production at about 29 million b/d and refused to answer many or rather any questions on Libya except for the conjecture that while Libyan production was not taking place, others can and will make up for the shortfall within and outside of OPEC. The surprising stalemate at OPEC HQ has seen a near immediate impact on the market. ICE Brent crude oil futures rose to US$118.33, up US$1.55 or 1.3% while WTI futures rose US$1.30 to 100.61 up 1.3% less than 20 minutes after el-Badri spoke. He added that the environment was cordial, but many suggested that it was anything but. The Saudis left the building in a huff with minister Ali al-Naimi describing it as the "worst meeting they have attended." Ehsan Ul-Haq, an analyst with KBC Energy Economics agrees with Jason. “Quite simply, if the Saudis want more oil on the market, they don’t need the Iranians, they don’t need the Venezuelans; they can and now probably will do it alone." No wonder the new man at the table – the meeting’s President Mohammad Aliabadi of Iran spoke of a “nervous” two quarters for the oil market. The Oilholic felt this 159th ordinary meeting would be ‘extraordinary’ and so it has turned out to be. Venezuela, Iran and Algeria reportedly refused to raise production with a Gaddafi-leaning Libyan delegation backing their calls. Meanwhile, the latest Statistical Review of World Energy published by BP earlier today with an impeccable sense of timing, noted that consumption of oil appreciated on an annualised basis at the highest rate seen since 2004. Christof Ruhl, BP group's chief economist, puts the latest growth rate at 3.1%. According to BP, much of the increased demand for oil continued to come from China where consumption rose by over 10% or 860,000 b/d. The report also notes the continued decline of the North Sea with Norway, followed by the UK, topping the production dip charts. The take hike announced in the recent UK budget is not going to help stem the decline. Ahead of the OPEC decision, prices for the forward month ICE Brent and NYMEX WTI futures contracts have fallen by US$2-3 on average over two weeks if the last fortnight is taken into consideration. That is largely down to the fact that traders have begun to factor in a possible increase in OPEC crude production quotas in the run up to the meeting here in Vienna today. For the purposes of a price check, at 11:00am CET, ICE Brent is trading at US$116.26 down 0.5% or 16 cents, while WTI is down 99 cents or 1% at US$98.46. Additionally, the OPEC basket of twelve crudes stood at US$110.66 on Tuesday, compared with US$110.99 the previous day according to OPEC Secretariat calculations this morning. Mike Wittner of Société Générale notes that if an increase in OPEC quota is made from a starting point of actual production, rather than the previous quota, it is that much more real, that much more serious, and potentially that much more bearish, at least in the short term. “In contrast, if OPEC were to increase quotas by 1.5 million b/d, but versus previous quotas and not actual production, all they would be doing would be legitimising recent/current overproduction versus the old quota,” he adds. Most analysts including Wittner and those present here believe a physical increase would be coming our way. Speaking of analysts, it is always a pleasure meeting Jason Schenker, President & Chief Economist of Prestige Economics at these OPEC meetings. He’s to be credited for describing OPEC as the Central Bank of Oil. The Oilholic heartily agrees and could not have put it better. Schenker believes OPEC is looking at the medium term picture and not just the next few months. “As anticipated if there is a production hike today, the thinking at the “Central Bank of Oil” would be that it could carry them across to the end of Q4 2011 perhaps without facing or acting upon further calls for alterations of production quotas,” he says. On a somewhat 'crude' but unrelated footnote, hearing about my recent visit to Alberta, Canada, Jason agrees there are a whole lot of crude opportunities for Canadians to be excited about. It would not be easy and it is certainly not cheap. But then cheap oil has long gone – this not so cheap resource is in a safe neutral country. Furthermore, one must never say never, but Canadians are not exactly queuing up to join OPEC any time soon (or ever). Finally on a totally unrelated footnote, one can see the “Made in UK” label at OPEC HQ – it’s the paper cups near the water dispenser - not something extracted from the North Sea. The Oilholic probably has to go back to Q1 2008 when an OPEC meeting last generated as much interest as the soon to be held 159th Ordinary meeting of the cartel here in Vienna. Interest of this magnitude usually gains traction when the cartel contemplates an alteration of production quotas. Initial signals are that come 1600 CET tomorrow, we could see a rise in the OPEC member nations’ quotas by 0.5 to 1.5 million b/d. Such talk has intensified in the three weeks leading up to the meeting. OPEC’s May crude oil production report notes that the cartel’s total crude output was 28.99 million b/d. If Iraq, which is not subject to OPEC quotas at present, is excluded, then the production came in at 26.33 million b/d, or 1.5 million b/d higher than the quota of 24.8 million b/d as set in Q4 2008. This begs the question, what would the increase be like in real terms – i.e. would it be an increase in paper targets (to which methinks not a lot of attention would or should be paid by the markets) or would it be an increase over the already existing, but not officially acknowledged physical production levels. If it is the latter, then that would be something and Société Générale's Mike Wittner reckons it would be a physical increment rather than a paper one. Furthermore, in a note to clients, Wittner observes: “Before analysing what OPEC is thinking about, why it will probably increase quotas, and what the dangers are of doing so, it is very important to note the latest signal regarding the meeting. Early Monday evening (EST), it was reported that the Saudi-owned al-Hayat newspaper, based in London, quoted an unnamed source as saying that if OPEC decides to lift its output by more than 1 million b/d, Saudi Arabia’s production will reach about 10 million b/d during the summer period, when its domestic demand increases. This compares to around 8.9 - 9.0 million b/d in May, according to preliminary wire service estimates, with an increase of 0.2 - 0.3 million b/d expected in June, according to various sources." The initial feelers here seem to be following the norm. The Saudis for instance, according to various media reports, would increase production anyway even if an increase is not announced. Approach of the others is more nuanced while some would suggest there are bigger factors at play rather than a straight cut decision on production. Earlier today, following a meeting at 1600 CET, a ministerial monitoring sub-committee comprising of ministers from Algeria, Kuwait and Nigeria overseen by the OPEC secretariat proposed a 1 million b/d increment to the existing quotas. This could be a harbinger of what may follow tomorrow. However, few here expect anything other than stiff resistance to an increase in quotas by Iran and Venezuela. Both countries have provided interesting sideshows. Iran's President Mahmoud Ahmadinejad sacked his oil minister and seized control of his ministry ahead of the meeting. He then appointed his close ally Mohammad Aliabadi as caretaker oil minister after parliament and Iran's constitutional watchdog said the president had no right to head the ministry. Oilholic regrets that he knows little about the right honourable Aliabadi who has precious little experience of oily matters. Guess being greasily close to Ahmadinejad is a resume builder in that part of the world. Additionally, Venezuela is to complain about US sanctions on PDVSA. Meanwhile, crude oil futures rose slightly either side of the pond following concerns that OPEC’s spare capacity will tighten pending on what happens tomorrow. OPEC had 5.94 million b/d in spare capacity in May, down 2.7 per cent from April, based on Bloomberg estimates. Spare capacity was 6.31 million barrels a day in March, the highest level since May 2009. The official line from OPEC as of this evening is – “We’ll pump more if needs be.” But do we? Tracking arrivals of OPEC ministers in Austria one by one since 09:00 CET not one has said much about what may happen on this occasion. Based on past experience that is always a sign that something will happen.